Logistics group Wincanton has secured contract renewals with three of its existing major customers – Asda, British Sugar and Lucozade Ribena Suntory. With Asda, Chippenham-headquartered Wincanton will provide dedicated transport and warehousing for the next three years, extending their relationship to 16 years. The renewal continues Wincanton’s operations at four key Asda sites – in Doncaster, Larne, Rochdale and Wigan – covering frozen, chilled and ambient grocery and general merchandise nationwide. The contract employs 1,216 Wincanton staff and 58 vehicles. Asda Logistics Services vice president Jon Parry said: “We are pleased to be renewing our contract with Wincanton for a further three years. Wincanton managing director of retail and consumer Ian Keilty added: “Asda is a much-valued, long-term Wincanton customer and our relationship stretches back over a decade. 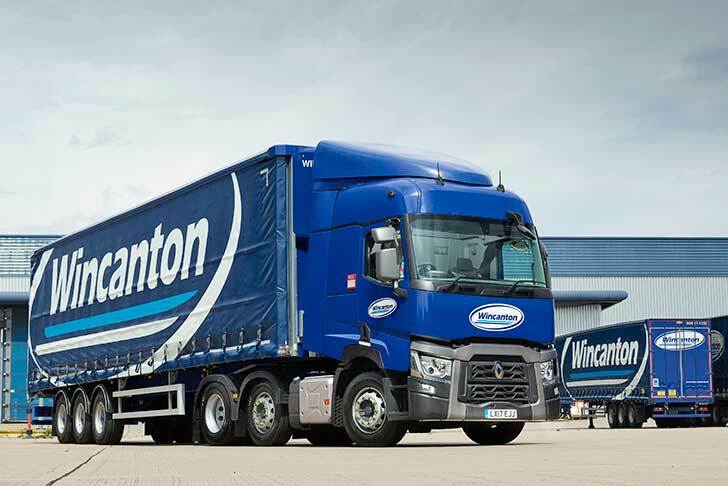 Wincanton has also extended its relationship with British Sugar with a three-year contract renewal to transport product between sites and to complete daily deliveries from warehouse to retailers across the UK. In addition, Wincanton has extended its contract with Lucozade Ribena Suntory (LRS) for four years to manage two semi-automated sites, including its national distribution centre, where goods are held for UK distribution and export. In 2018, these sites handled more than 2.4bn bottles of soft drinks, enough to fill around 500 Olympic swimming pools. This latest agreement between Wincanton and LRS takes the association between the two brands to more than 25 years. Last week Wincanton, the largest British logistics firm, announced it had been appointed by The Weetabix Food Company – the food processing firm behind the breakfast cereal – to provide transport, warehousing and packing services. Under the two separate, five-year contracts, Wincanton will take over operating four warehouses where Weetabix products are stored and packed as well as providing a nationwide transport operation for the delivery, management and transfer of finished goods and stock. Wincanton provides supply chain services to brands ranging from Ikea to Britvic and Screwfix and across a wide range of industries including retail, construction, defence and energy. It operates from 200-plus locations across the UK and Ireland totalling 7.6m sq ft of warehousing and uses around 3,600 vehicles. Its annual revenues are more than £1.1bn and it employs 17,700 people, including 4,000-plus drivers.